Jon Gosselin has never been the most popular guy in the world, but he kind of brought that on himself when he agreed to be on a reality show and then left his wife to manage the reality show (and their eight kids) on her own. With that one act, he combined the public’s natural dislike of reality show people with their natural dislike of men with eight children who divorce their wives and then immediately start dating younger women without eight children, so really it’s just surprising that he has come through all of that without turning into a national lightning rod of hatred like Martin Shkreli. But do not weep for Jon Gosselin, America. He’s actually doing just fine. In fact, according to Page Six (via NYMag), he’s got a pretty kickass DJ gig lined up at a T.G.I. Friday’s in Pennsylvania. He also works there, but it’s not because he needs the cash. Apparently, it’s because he’s friends with the restaurant’s general manager and simply “likes to cook.” Gosselin works three days a week for “seven to eight hours,” and he reportedly donates his paychecks to charity. Obviously, that’s because the only payment Gosselin really needs is the thrill he gets when he feels everyone’s heart rate jump after he drops some unbelievably sick beats during T.G.I. Friday’s DJ night. That’s when all of the pressures of being a former reality TV guy, a divorced father of eight kids, and a cook at the hottest Friday’s in Lancaster County all melt away. 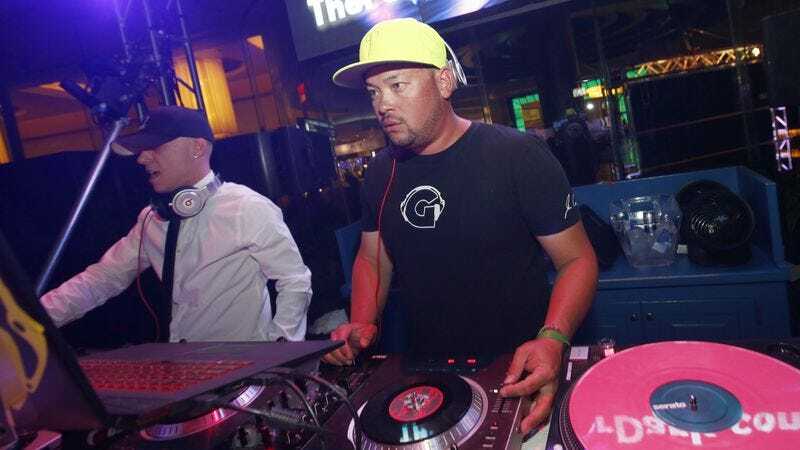 It’s just Jon Gosselin and the beats. That feeling doesn’t last forever, though. Eventually, the music will stop and the crowd will leave. Then it’s just Jon Gosselin and his thoughts. But seriously, he seems fine.